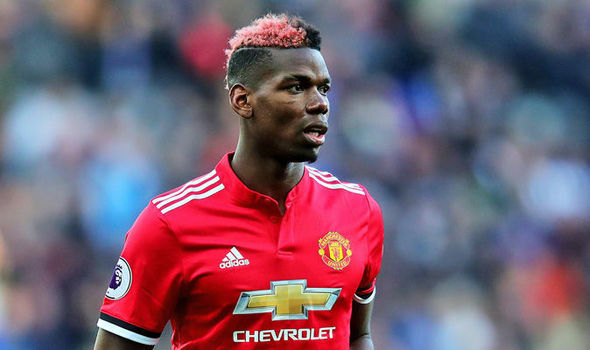 Paul Pogba admits Manchester United's midfield structure helped him to star in victory at Manchester City. Pogba scored twice in the 3-2 win on Saturday. And he claimed that being played in a midfield three - as he did when he flourished at Juventus - alongside Ander Herrera and Nemanja Matic was hugely beneficial to both him and the Red Devils. Discussing his second goal, which saw him charge through the middle of the park before latching onto a lobbed ball into the box to fire home, he told Sky Sports: "It's hard to make this run in a two. "You have to stay and you have to control. When we have three players, I know Matic will stay behind, and you have more freedom to go in front." As against Manchester City, this formation was the closest to the one he played at Juventus, and, as a result, produced another result that justified his £89million price tag.